Our clients are unique individuals and so are their wants and needs. 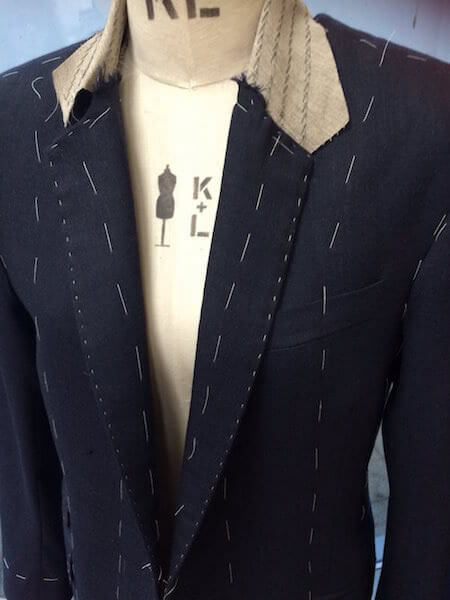 To reflect this, we cut specific patterns for each client, fitting the suit to your body. We use only the finest fabrics and work with a number of Saville Row’s most experienced pattern cutters, hand stitching our bespoke range in London. At the initial consultation, Lydia will discuss styling choices and what will work best for your lifestyle. Ensuring this outfit will compliment and enhance your wardrobe. Measurements are then taken, we then create the pattern you have decided upon and the magic begins. The cloth is cut, and the sewing begins; from the initial meeting to first fitting is around three weeks. To final fitting we allow approximately five weeks. Our beautiful selection of fabrics, are handpicked from the best mills in both England and Europe. From Merino to Vicuña, simply the finest wools, softest cashmeres and exquisite silks from which to choose. Materials that will reflect your style, perfectly. 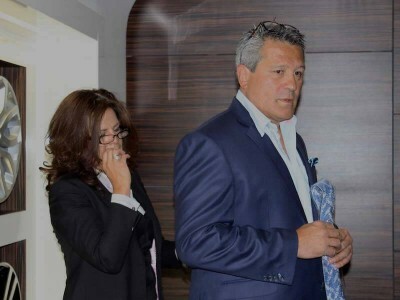 Lydia’s diverse clientele includes international business leaders, sports and media personalities and, across the board, their common frustration has been the fit of their clothing – regardless of height, shape, size or weight. Lydia’s personal approach and long experience are truly valued. Clients often entrust her to take the lead in creating their outfit, for their given occasion. 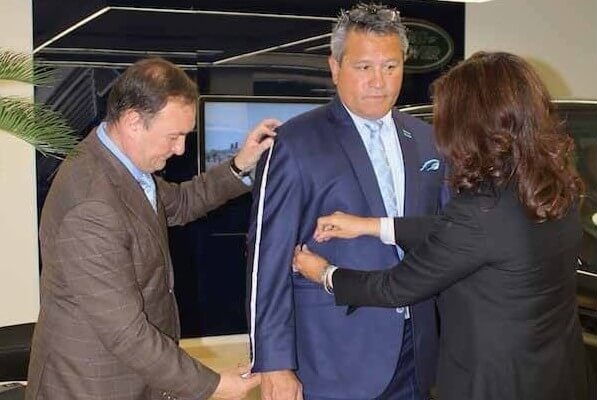 Wearing a bespoke tailored garment solves that issue. Not only will you have confidence and comfort, we guarantee plenty of compliments! 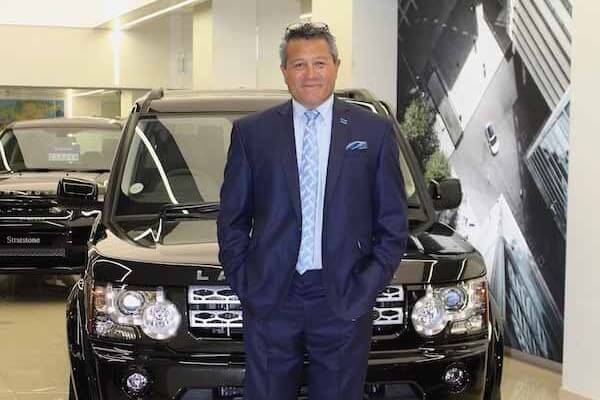 One of the world’s finest rugby players and former All Black, ZinZan Brooke, here at the Stratstone showroom in Mayfair. We discussed cloth, colours, and fit. Zinnie revealed that he never enjoyed wearing suits because they never fit him properly. The challenge was to find the right fabric that would enhance his skin tone and personality – and one that he would really enjoy wearing. Zinnie loved our suit and, more importantly, he loved the fit! We travel to our clients to offer them maximum flexibility. However, if they prefer to come to Savile Row, that can be arranged by appointment. Time is the only true commodity we all have so we try to be as mindful of this as possible. For some, that may mean visits to their home, office or at one of Perfectly Attired’s members’ clubs, All that matters is what works best for our client’s schedule. Lydia decided upon a Bateman Ogden fabric for Zinnie’s suit, milled and tailored in the heart of the British textile industry; a super 150s Sapphire Blue 11oz fabric, it’s a stunning mid-weight cloth. The colour worked particularly well with the Egyptian cotton checked shirt and and the Penrose tie we chose to go with it.